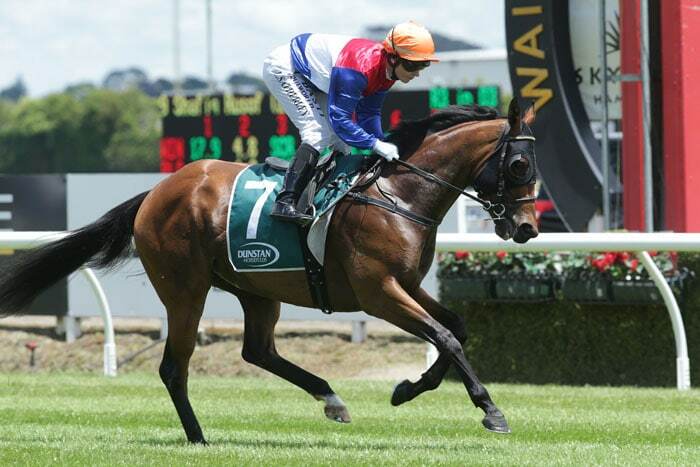 Talented racemare Pop Star Princess has been scratched from today’s Tauranga race meeting after an apparent overnight attempt to uplift her from the Cambridge stables of her trainer and part-owner Fred Cornege. Pop Star Princess, the winner of three of her 14 starts and runner-up in the last three, was the pre-post favourite for the second race at Tauranga, the Rating 82 NZB Insurance Pearl Series Race. Had she won, Cornege was planning to enter the Makfi mare for the Gr. 1 Fiber Fresh New Zealand Thoroughbred Breeders’ Stakes at Te Aroha on April 6. Those plans are now out the window after what Cornege describes as an extraordinary and disturbing turn of events during the early hours of this morning. “Some time after one o’clock my wife Lindsay got up when she heard the dogs barking,” Cornege told www.theinformant.co.nz. “She let the dogs out and they raced over to the stables, but when Lindsay got there Pop Star Princess wasn’t in her box. “Then when she went searching she saw a horsefloat behind a ute out on the road, with three people near it. Apparently when she got closer one of the people told her was taking the mare. Cornege in the meantime had called the police. “Thankfully two, maybe three, police cars then turned up – it was amazing how quickly they got there,” he continued. “By this time the mare had been caught and loaded on the float, and we had to leave her there while the police took control of the situation. According to Cornege, the unwelcome visitors were officially trespassed from the property which is located adjacent to State Highway One just south of Cambridge. “It was very unnerving, you never expect something like that to happen,” he added. “Pop Star Princess was understandably pretty upset while all this was going on. We’ve never had her on a trailer float and with her being stuck on it while the police went through all the details she got very restless, kicking out and carrying on. “Thankfully she doesn’t appear to have suffered any serious injury, but she has knocked her hocks around. We really wanted to run her today, but it wasn’t possible after everything she had been through. Racing Integrity Unit regional investigator Andy Cruickshank acknowledged that Cornege had been in contact, but given the police involvement it was a civil matter and therefore did not involve the RIU at this point.